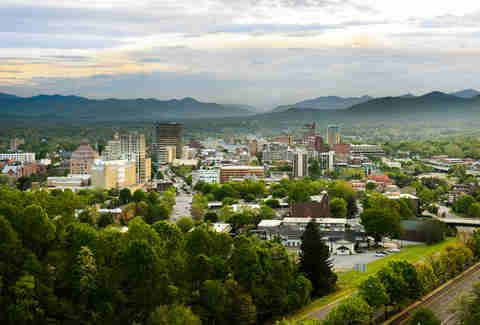 At the end of last year, I had reason to spend a whole lot of time in the South; a proud American region that, admittedly, I have not visited enough -- especially considering I'm a travel writer. When it was all said and done, I realized I'd pretty much now hit (or at least briefly set foot in) all 16 Southern states -- as defined by the US government, not by these guys -- at some point in my life. So, with apologies to the 11 that didn't make the cut (sorry Georgia, my editor pushed hard for you), here are my favorite five states south of the Mason-Dixon line. Nashville! Memphis! 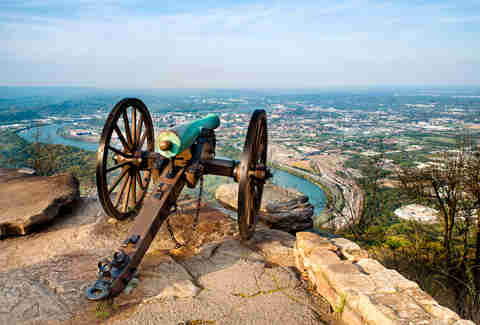 Tennessee rocks! Or... twangs, whatever. 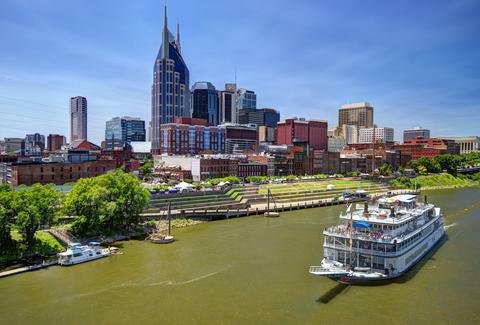 You've heard all the Nashville hype by now so no need to rehash, but where many up-and-coming cities are still only up-and-coming in certain pockets, Nashville seems to be sprawling with hipness. Food, music, art; there's really nothing I need to tell you here, except for that it's everywhere. And Memphis is achingly charming with some great spots of its own, if not as wide-ranging or wide-reaching as Nashville. Although both have their respective neon-lit versions of Las Vegas Strip envy -- Broadway St in Nashville, Beale St in Memphis -- that are just like, "Why?," avoid them and you won't feel like a tourist. I didn't even mention Knoxville or Chattanooga, and now I'm starting to wonder if a "five" ranking is too low. More like ArkanSASSY! Not gonna lie, Arkansas is kind of a weirdo oasis. Mostly because of Eureka Springs. But also Hot Springs! Because when you hear the word "bathhouse," I assure you, you are not picturing these historic structures protected by one of the 20 best (and most visited) national parks in America. 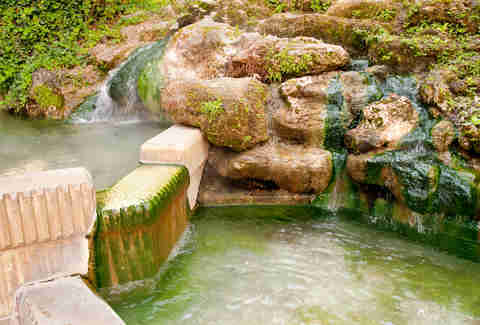 And the warm waters of the natural springs. It's all kind of amazing. Also, you've got sick burger joints, the Buffalo River, a presidential library, Johnny Cash's boyhood home in Dyess, and Little Rock which -- believe it or not -- is fun! Consider that a best, best, BEST-kept secret and for the love of low rent, don't ruin it by moving there. You know what, forget I even said anything. Arkansas is terrible, NEVER GO. Even Northern Kentucky is 1,000x better than neighboring Cincinnati (sorry, Cincinnati, your great skyline is not enough). If driving south through Kentucky from Ohio, Kentucky is also notably the first state where the digital highway signs urge "Y'all" to drive safe. And that's kind of charming. 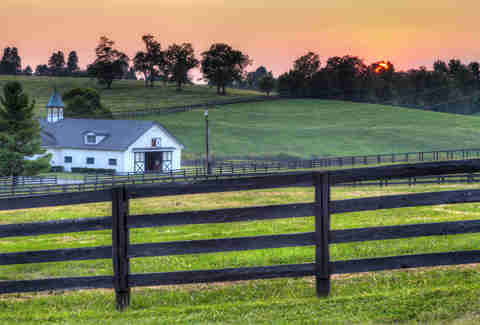 Yeah, Kentucky is pretty cool. Louisiana tops this list because of New Orleans and... OK, mostly just New Orleans. But! If you fly into Baton Rouge -- and it is SO much cheaper to fly in and rent a car from Baton Rouge Metropolitan, a tiny airport where there are no lines for anything ever -- you can make a quick detour en route to the Big Easy to visit the plantations of River Road right along the Mississippi; it includes the incessantly Instagrammable Oak Alley Plantation, a popular filming location for Southern gothic horror masterpieces like Interview with the Vampire and the first season of True Detective. You can also drive over the somewhat terrifying 24-mile Lake Pontchartrain Causeway, the longest continuous bridge over water in the world. There's really just something about being out in the swamps that creeps into your bloodstream... Louisiana has a feel about it in a way few other states do. 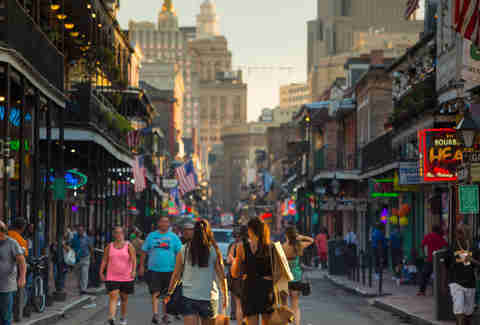 Now, while you're in New Orleans, don't be afraid to sacrifice some of your drinking-in-the-Quarter time to investigate more of the surrounding areas with a swamp tour or a plantation tour or a cemetery tour (of the famous above-ground "Cities of the Dead"). Or stay in the damn Quarter and go on a ghost tour or a vampire tour or a voodoo tour or a literary tour or a cocktail tour... or just amble down Frenchmen St and wander into whatever bar has the most amazing live music (hint: it could be any of them). Or just eat crawfish and gator and boudin balls and Gulf oysters everywhere in as many places as you can until you have to fly home. Mon cheri, New Orleans is the most incredible city in this whole country. Ain't nowhere else like it, and ain't nowhere ever will be. And that's why Louisiana is squarely at the top of the list (OK, so maybe I'm not as impartial as I thought was). Either way, laissez les bons temps rouler! Nicole Rupersburg lives in Detroit and may have just convinced herself to go to New Orleans again next month. Follow her on Instagram at @eatsdrinksandleaves to see if that ends up being true.